Studying in the International School of IDC Herzeliya is a special experience in many ways. For me, one of the most beautiful aspects of it is the variety of nationalities, cultures, and languages all mixed together in one place alongside the Israeli School. You get to meet people from all over the world, while studying what you love together with some really great professors, and while enjoying the warm and sunny weather of Israel. I am now a second year student of the BA Psychology program, and these are my 15 signs you’re a student at IDC Herzeliya. 1. You hear people in the cafeteria order “Hafuch” in Hebrew with accents from all over the world. People from countries all over the world come to study in IDC, so you hear a wide variety of languages and accents being spoken on campus. The cafeteria is a frequently visited place, since students need their coffee, and regardless of your level of Hebrew skills, you soon learn the important phrases; like how to order your coffee in Hebrew. 2. You try to avoid the cafeteria during lunch hours. When lunch time approaches the cafeteria area gets flooded with hungry students and professors, and if you want to get something to eat or drink during this time you should be prepared to stand in line. Luckily, there are plenty of smaller coffee places around campus, apart from the main cafeteria, so you can always sneak over to one of those and hope for a shorter line. 3. You know about all the “secret” drinks/snacks rooms. In some of the buildings on campus there is a room where you can find “2 shekel coffee”, vending machines, micro waves, drinking water fountains, and fridges. It is not really true that these rooms are secret; however, it probably took you at least half a year to discover that they exist. 4. “2 shekel coffee” has sometimes saved your day. There is a great thing in IDC called “Coffee for 2 shekels”. This means that in a couple of locations on campus (in the secret “drinks and snacks” rooms) you will find hot water, Ness-coffee, Turkish coffee and tea bags, for your convenience. Next to the coffee is a box, and all that you are asked to do when making yourself a cup of coffee is to put 2 shekels in it. It’s a system based on trust, and it’s great when you are short on cash but really need that caffeine to get you through the day. 5. You sometimes feel like on a catwalk when strolling down the main road on campus. IDC is known for many things, and one of them is the often very fashionable students. There is now a Facebook page dedicated to this, called Fashion at IDC. 6. Your diet consists mainly of sandwiches and coffee. It’s not like there is no other food available on campus. Some days, when you feel like taking your time and spoiling yourself, you might go for pasta or something from the cantina. However, let’s face it, most of the time you are just lazy, or in a hurry to your next lecture, so you grab a pre-maid sandwich and a coffee from the kiosk so you can keep going. 7. You know the struggle of opening the plastic wrapping of the sandwich you just bought during a lecture. For unknown reasons the pre-made sandwiches from the cafeteria are wrapped in the noisiest kind of plastic you can imagine. So you are sitting in class, the professor has started the lecture, and in front of you is the sandwich you just bought during the break. Now you are faced with that decision you don’t really want to have to make; should you open the plastic slowly and carefully, and try to make as little noise as possible, knowing it will take you half the lecture to get to your sandwich? Or should you open it fast, and drown the professor’s words in rustling noise? 8. You know that “first floor” means “basement”. Figuring out the different buildings, classrooms and lecture halls in IDC can be quite a challenge, and even after studying there for some time, there will be times when you are not sure where you need to go. One of the things you learn is that “first floor” means “basement”, except for in the Communication building of course. 9. There is rarely more than two people in your class with the same nationality. It’s called the International School for a reason; people come from all over the world to study here, each and every one with their own reasons and motives. 10. You have worked on your karma through volunteer work. Volunteering is important at IDC, and you have probably done it at least once in some form since you started studying; either by helping out in different ways on campus, or by participating in different volunteering projects organized by the school. 11. You have had a beer during a break. There are times and occasions when beer is being sold on campus ground (hurray! ), and if this is a nice and sunny day (which it often is in Israel), why not enjoy a cold beer on the grass together with your class mates. 12. You listen to the IDC radio channel. Among all the things you can learn in IDC is radio broadcasting, and in fact IDC has its own radio channel. 13. You have that one security guard in the gate that will let you in without checking your ID because he knows you. 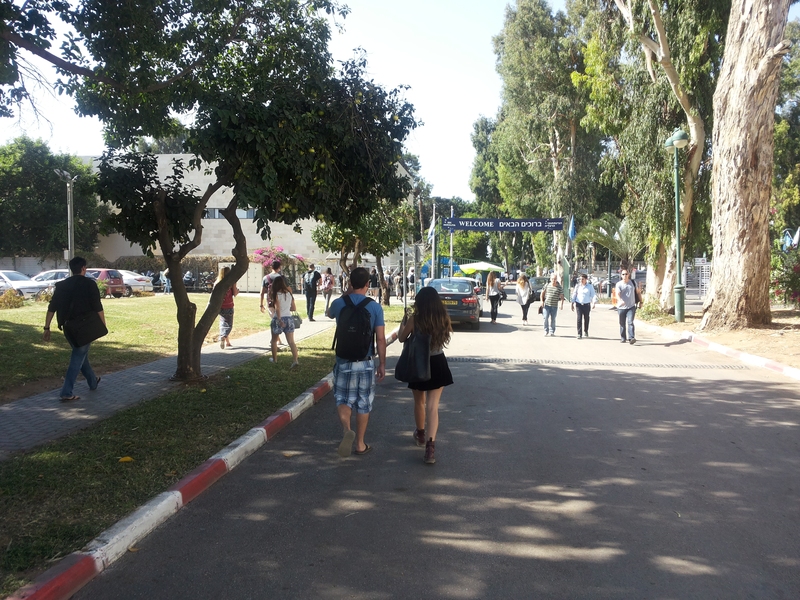 Like with most public places in Israel, security is important on campus. The security guards are strict to check your student ID before they let you enter, so you better not forget it at home. Of course, sometimes you are lucky, and the guard who is on duty when you arrive (the day you left you ID at home) is the one that remembers you and lets you in anyway so won’t miss your class (and you are forever greatful). 14. You always get invitations to parties and events. IDC likes to organize parties, trips, and events for the students, so you always have something fun to look forward to (unless you are too busy working on those grades). 15. You are wondering why there is a room called “The Aquarium”. There is this one big room, where you can go to study or work on projects with your friends, and for unknown reasons this room is called “the Aquarium”. For some time you were wondering over this name – who came up with it, and why? But then exam season kicked in and you had no time left for such questions, you are just happy it exists.